Are you looking for a relaxing way to fall asleep? You’ve tried counting sheep and listening to rain sounds. But have you thought about listening to music before bed? Scientists believe that falling asleep to music can help you sleep better at night (1). Of course, you need to pick the right sleep music for this to work. Some researchers suggest sleep playlists should include Ed Sheeran or Sam Smith songs. No, these researchers don’t get paid to promote British singers. There's something common in these songs that can help you fall asleep. (Don’t worry, we will go into more detail later in this post). So, let’s look at what makes the perfect sleep music. Yes, according to a recent study listening to music can help you fall asleep (2). We will look at the science behind perfect sleep music, but it is important for you to find music that works for you. Try out a few types of music before settling on your sleep playlist. You need sleep music that doesn’t distract you or make you want to sing along. It should be background noise that helps you drift off. Not something that makes you energized or ready to dance. How Does Music Help You Fall Asleep? To fall asleep easily, you need to feel calm and relaxed. Your breathing and heart rate need to slow down. 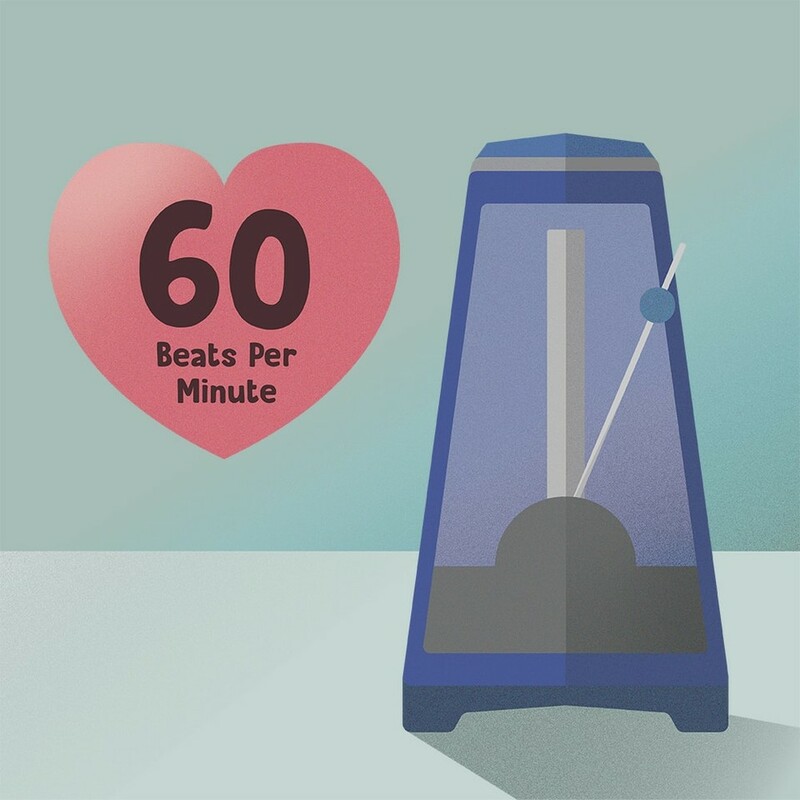 According to scientists, 60 bpm is an ideal heart rate for sleeping (1). Many classical songs follow a 60 bpm rhythm. When you listen to this type of music, your heart can eventually match this beat and start beating at 60 bpm - the exact amount recommended by scientists. So, listening to relaxing music can slow your heart rate, which helps you fall asleep. But what else can it do? Certain music causes your brain to release hormones that help you relax. Remember, feeling relaxed and calm are two key parts of falling asleep easily. Calming music can also help people with sleep disorders. Falling asleep to relaxing sounds can help you sleep better and longer. Keep in mind that you shouldn’t fall asleep with earbuds. While you are sleeping, the earbuds might shift and could lead to ear damage. Instead, use pillowcase or room speakers to play the music. Pillowcase speakers attach to the top or bottom of your pillow. These allow you to listen to music without bothering anyone else or hurting your ears. Lay on your pillow with your ear against the speaker and get ready to drift off to sleep. 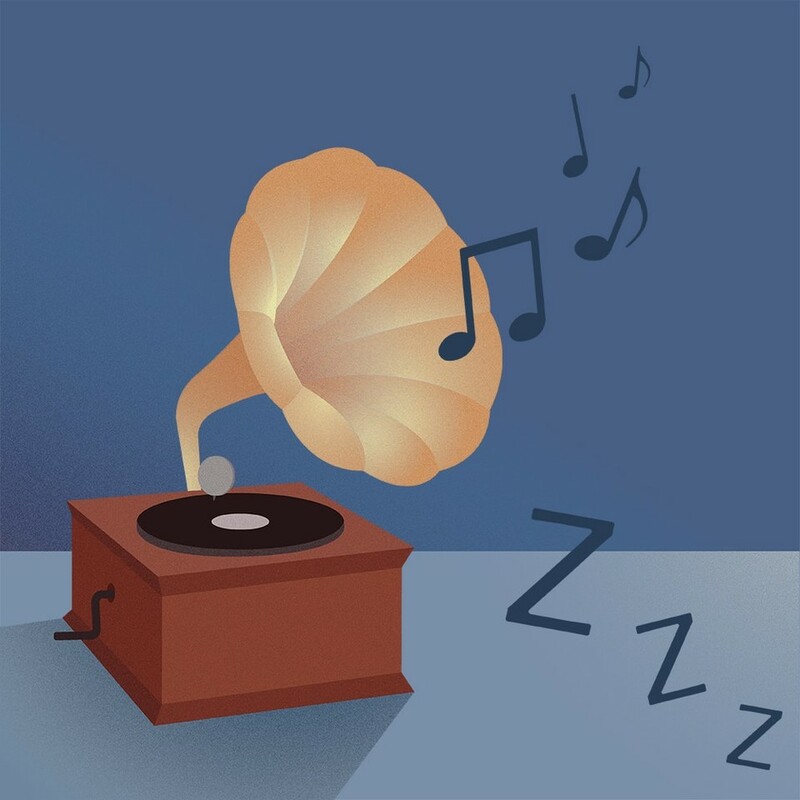 What Type of Music Helps You Fall Asleep? So what music helps you fall asleep? As you might have guessed, sleep music needs to be soothing. It should have a beat around 60 bpm. Jazz and classical music work well. This is also where Ed Sheeran and Sam Smith fit in (3). Many of their songs are relaxing and follow the 60 bpm pattern. A study showed that listening to music 45-minutes before going to bed can help you fall asleep easily (2). You might also want to start playing soothing music as part of your bedtime routine. What songs should be included on a sleep playlist? Ultimately, you need to pick the songs that you like. Choosing an unfamiliar song might make it harder for you to go to sleep. According to research, falling asleep to music works (4). You just need to pick the right sleep sounds for you. When making your sleep playlist, pick songs that are relaxing and calm. You may need to try out a few songs before you decide on your perfect playlist. Look for songs with beats around 60 bpm. This will help slow your breathing and heart rate, which can help you fall asleep faster. Who needs to count sheep when Ed Sheeran's calming music can help you fall asleep? (1) Barnett, Bob. “Can Music Help Me Sleep?" WebMD, www.webmd.com/sleep-disorders/features/can-music-help-me-sleep#1. Accessed 2 Jan. 2019. (2) Harmat, L et al. “Music improves sleep quality in students." Journal of Advanced Nursing, www.ncbi.nlm.nih.gov/pubmed/18426457. Accessed 2 Jan. 2019. (4) "CAN MUSIC HELP YOU CALM DOWN AND SLEEP BETTER?" National Sleep Foundation, www.sleepfoundation.org/sleep-topics/can-music-help-you-calm-down-and-sleep-better. Accessed 2 Jan. 2019. Here's our pick of 5 songs to sleep to 😴 🎶.